There is a fine line between a sweet van and a free candy van...which is ironic given the sweetness of candy, but ultimately the difference between seeming quirky and creepy. You'll have to be the judge with this next van, but I wouldn't park it in any school zones until you've fix the body damage on the side. 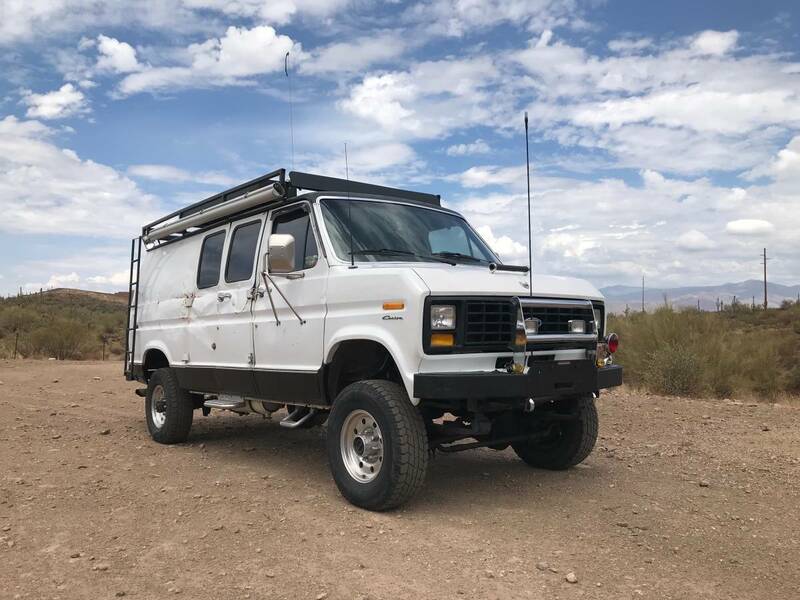 Find this 1991 Ford E350 4X4 offered for $14,500 in Black Canyon City, AZ via craigslist. That 14k has to be a type-o, right? What am I missing? 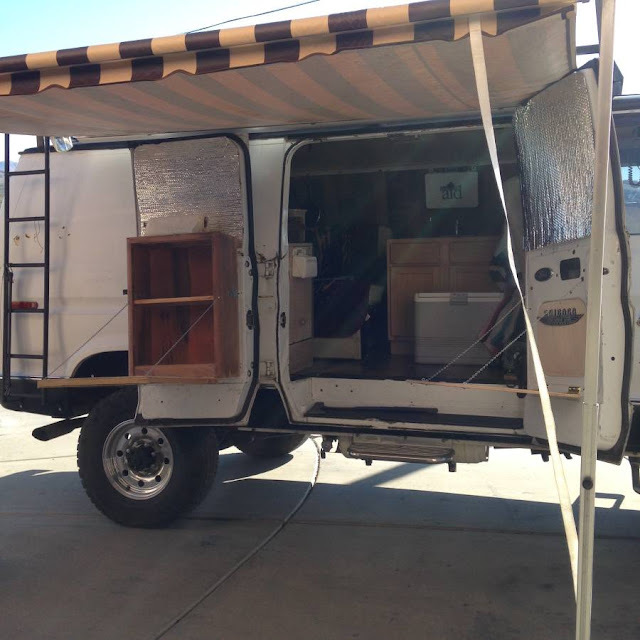 As far as quigley 4x4 conversion's go, this one is relatively cheap. For whatever reason, 4x4 vans are expensive. Hell even the VW Syncro vans all clapped out are a pretty penny. Reminds me of the old Tamiya Lunch Box van. Really! Free Candy! Hilarious........I like these jacked up zombie apocalypse vans but I'm not sure why.maybe its the possibility of using it to sell creamsicles on the side. It says 7.3 and it says gasoline. Is the test mule for the rumored 7.3 gas engine ot the diesel? 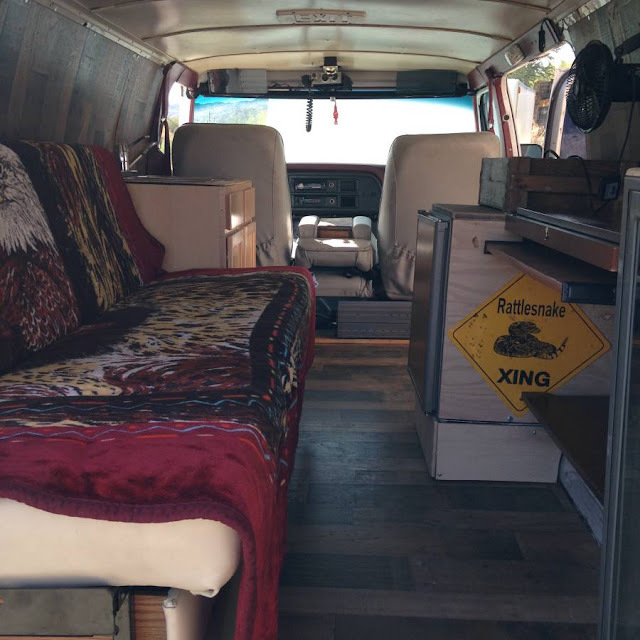 This van is awesome I was in Arizona this past August. Had I seen this I would've bought it and driven it back to So FL. These 4X4 diesel Fords are unicorns, extremely rare. This is the "poor man's" Sportsmobile and IMO for a great price. Lots of money into this build The roof rack and tire carrier alone will set you back an easy 3 grand. I'd gut the inerior and build to suit. The dents are "patina" and I'd leave them. The seller should post this on Expeditionportal.com. The craigslist ad has been flagged. Last year I ran from Corbit to Jupiter, through about 3 feet of water in some of the slough, and I swore I would never return, save for in something appropriately built for some mud flinging fun for an overnight stay. This would do the trick. "This posting has been flagged for removal"